This past spring, my husband and I sold our spacious condo in Denver’s historic Cheesman Park neighborhood and downsized to a considerably smaller unit across town. 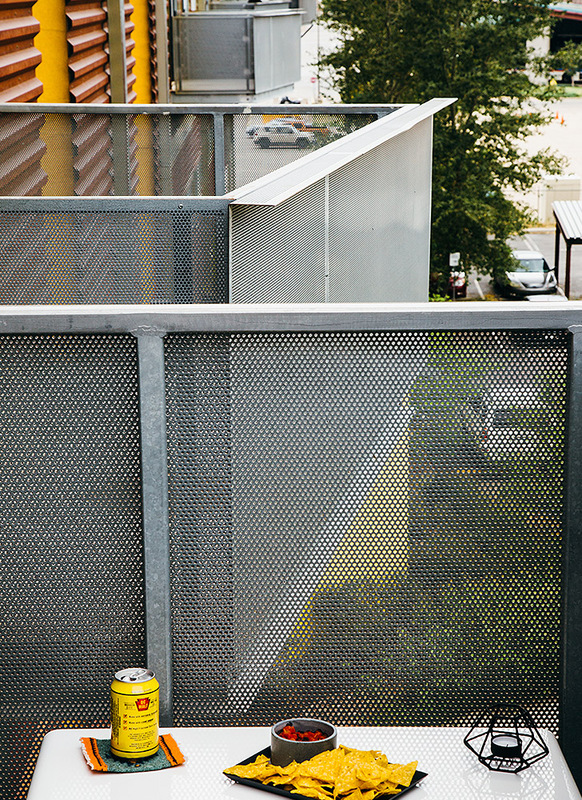 Our new neighborhood – River North (AKA RiNo) – is industrial and gritty. And is pretty much the exact opposite of everything we knew and loved about our former neighborhood. The same can be said about our new home, too. Our old place was built in the early 1900s. It had original hardwood floors and the entire unit oozed charm. Our new place? The building went up 10 years ago and, prior to our renovation, our 680 square foot unit had seen much better days. You might be wondering why we bought it in the first place. Well, we saw a lot of potential in the unit (and the neighborhood, too). But also? 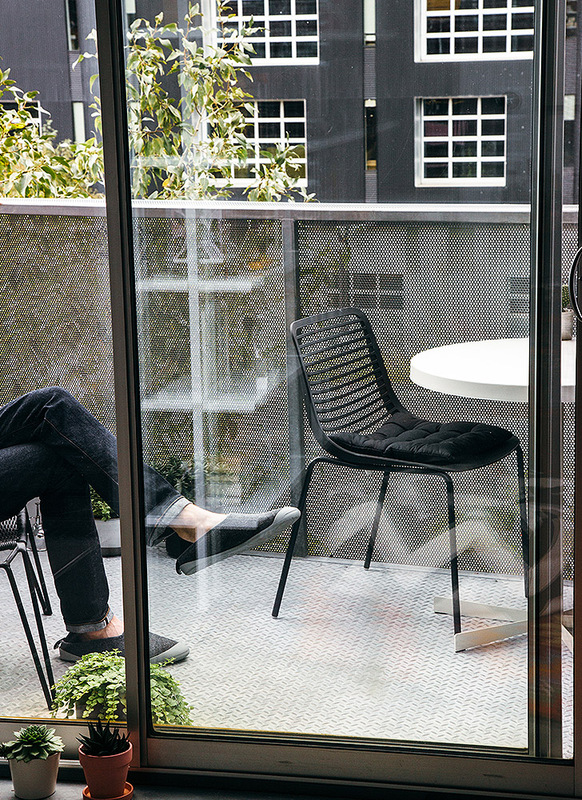 The space had a balcony. Something that has always sat at the top of our wish list, and something that can be pretty difficult to come by in places that aren’t built specifically for the rental market. So while my husband was patching drywall and installing the cabinets in our new kitchen, I got to scrub all the rust off our balcony (distilled vinegar is a magical and powerful thing, you guys) and figure out how we were going to utilize the space. Since the balcony is visible from the main living area, I knew I wanted to incorporate pieces with an aesthetic similar to our indoor environment. But, other than that, I had no idea where to start because the space is ~60 square feet and irregularly shaped, and that presented a challenge (for me, at least). Thankfully I was put in touch with Sue, a design associate at Room & Board, and she pretty much did all the heavy lifting and held my hand throughout the entire design process. What’s more? She didn’t judge me when I sent her a floor plan that was scribbled on a paper towel. 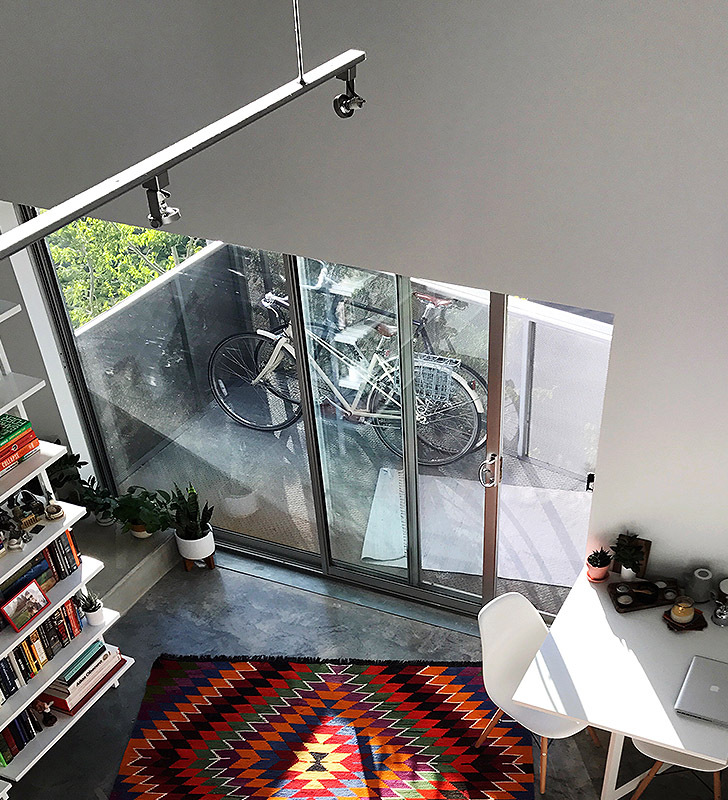 Along with the paper towel floor plan, I sent along a short list of things I like (and don’t like) and a few photos of our main living area, and within one week I was looking at potential designs for our balcony. Before I knew it, I knew exactly what I wanted. Well, with the exception of color choices because I’m a chronic over-thinker and I kept going back and forth between mostly white with a few pops of black or a good mix of the two. I wound up going with the latter – it’s what my gut was saying all along but when Sue nudged me in that direction, I knew it was the right way to go. 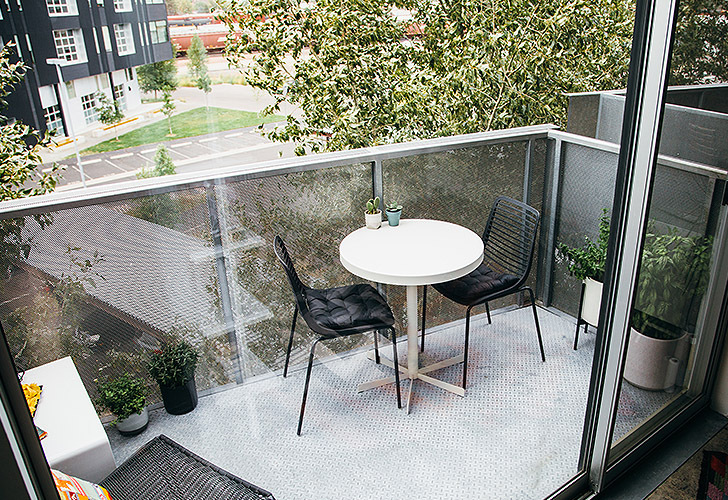 We’ve been living with our finished balcony for two months now and I’m happy to report that not a day has gone by that we haven’t put the space to good use. 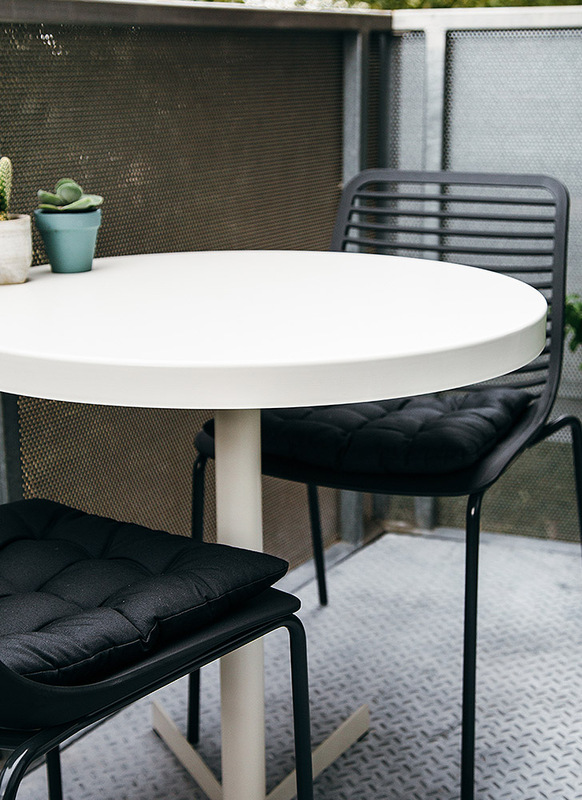 The Penelope lounge chair is my new favorite place to enjoy early-morning coffee (or for my husband to enjoy a boozy beverage) and the Penelope Table provides the perfect backdrop for our sunset dinners. Choose pieces of furniture that fit the scale of the space. This one probably seems like a no-brainer, but the easiest way to make a small space feel even smaller is by choosing pieces that are too big for the footprint. 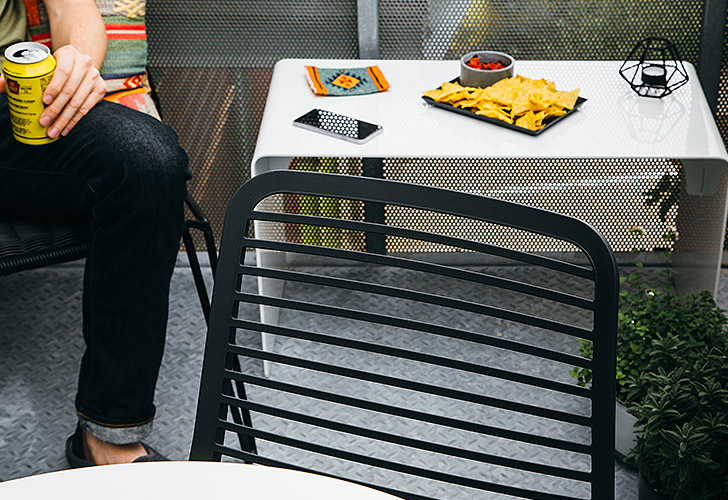 If the reality is that you only have enough space for a café table for two, don’t try to squeeze in a bulky table that seats 4-6. Keep patterns and color to a minimum. Too much of either will make things look too busy and – as a result – feel stuffy. 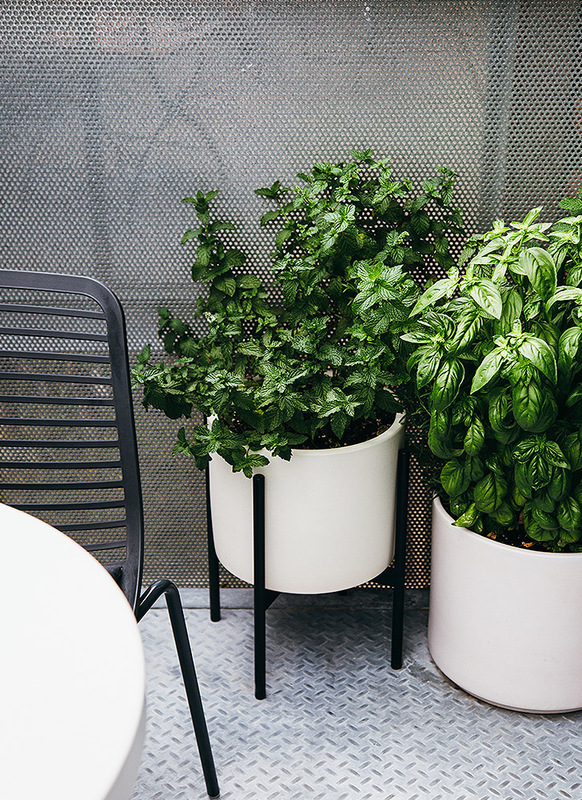 For outdoor spaces, I prefer to get most of my color from plants but pillows and seat cushions (still on the hunt for the perfect cushions for those sleek Mini Outdoor Chairs) provide a great opportunity to throw in some vibrant colors and patterns. Try to incorporate at least one piece that has multiple uses. 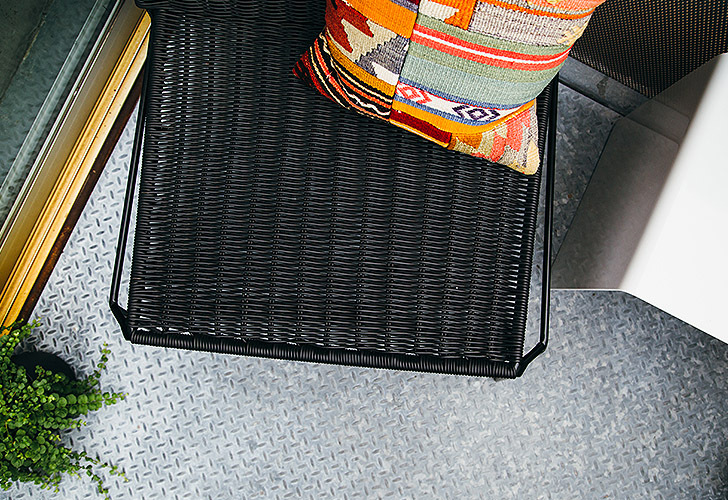 For our balcony, it was the Cooper Outdoor Bench that spends most of its time as a side table. In the event we have guests over and need to utilize the bench, all we have to do is grab a few pillows from inside and then – just like that – we’ve got ourselves an extra seat. 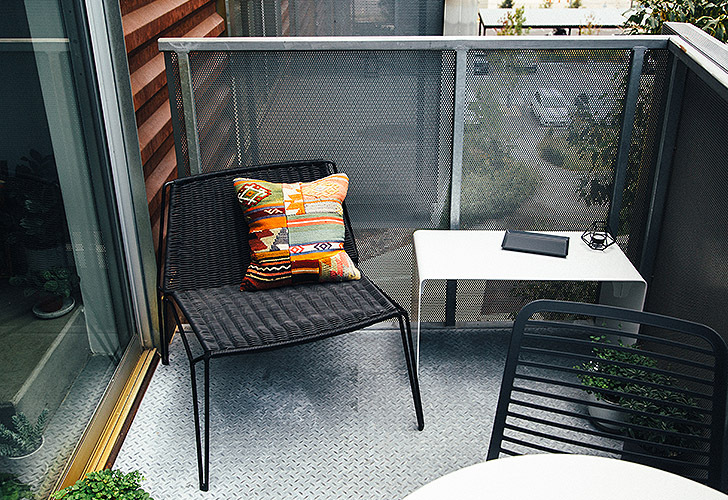 Big thanks to the folks at Room & Board for providing us with smart pieces of furniture that make our tiny balcony feel far more spacious than it looks on paper. 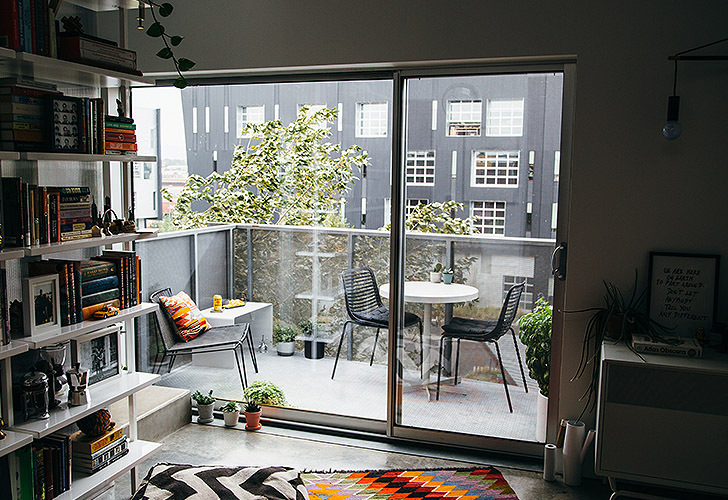 The Room & Board product featured in this post was gifted to Ashlae Warner of Oh, Ladycakes for her modern balcony space. All opinions are her own. I just ordered the Cooper bench for my condo deck in Portland Oregon In the same size in white. I also ordered the Soleil lounge chairs in silver because my railings are a similar silver color. I am very excited about the look I will achieve. I saw some photos of your deck and gravitated towards them because of the smaller deck size. Great job!